In some cultures, the daffodil is seen as a symbol for wealth and good fortune. It also symbolizes rebirth and new beginnings, almost synonymous with Spring. 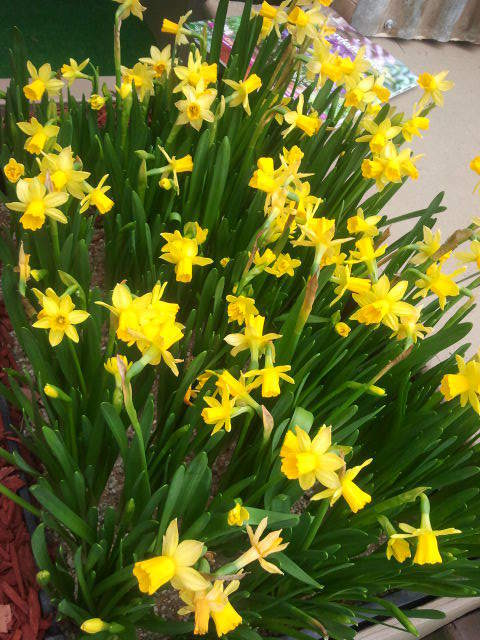 Easy to grow, beautiful to smell, pleasing to the eye, light on your pocket if you wish to plant them in your garden, Daffodils are perfect in every way. The Dandenong Ranges, home to beautiful fruit and flower farms, are also home to a well-known daffodil farm, which is known as the Hancock's Farm, established in 1967 at its current location. At present, the owners are Christine and Will Ashburner who took over in 2000. Specialists in the field, they offer over one thousand varieties of daffodils to garden lovers all over the country. The bulbs are available online and can be ordered through catalogue as well, and these will be mailed to you free of cost. However, if you live in Melbourne, it might be worth visiting the farms, which are conveniently located in the beautiful township of Menzies Creek in the Ranges. The farm display is in full bloom end of August through to the end of September. Admission to the farm is free. Make a day trip of it, meet the family who has been growing these wonderful flowers, and give your eyes the rare treat of taking the beauty in. The sweet fragrance of the flowers is sure to relax you after the drive up the hills. Hancock's Farm has Spring flower shows coming up in various events; please check their website for details. Call ahead to make sure the farm is open on the day of your visit.